This property is a maisonette. It is located in Hastings in east-sussex and has 3 bedrooms. This home has central heating and it also has double glazed windows. 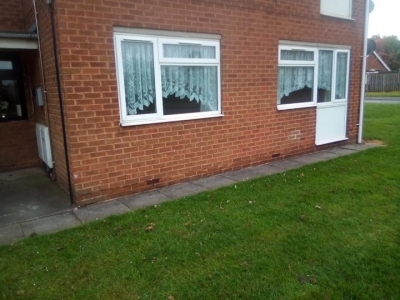 Advert Id (153361) Hello I have a 2 bedroom flat on the second floor in luton town centre near the train station it is a new build. Im wanting a 2-3 bed property in nottingham any area Thanks. Advert Id (153358) I have a 2 year old large double 2 bedroom house with a nice sized garden, 2 wcs, own parking, kitchen diner. Everything in the home is only 2 years old, I am the first to live here. Wanting a 3 bed in or around ashford am happy to move into a house that needs work doing to it as Im looking for my forever home! Advert Id (153344) This is a good area nice neighbours school near by and walking distance to shops and the lovely Stanley Park. Advert Id (153339) Considering something different ? An island off the West Coast of Scotland. Housing Assoc property. Rent 320 pcm Big living room. own front and back access. 2 large walk in storage cupboards. ground floor. kitchen,bath with bath. building is listed.easy access to beaches,mountains. Glasgow an hour and a half. Greenock or Largs under an hour . So much to see and do. Health forces move back South. So Wales and adjoining areas considered. Photos available. Advert Id (153337) Doncaster...MUST BE 50+ !!! Tickhill Village. Ground Floor.Will consider swap to anywhere England. Opposite large cricket field in very quiet, well kept area, front & side lawns with large rear garden. Pets allowed. No overlooking buildings, fully modernised, double glazing, gas ch. Parking places. Â£70 per week rent with Doncaster council. Block of 4, more photos of living room and other internal / external areas available. Advert Id (153336) Doncaster...MUST BE 50+ !!! Tickhill Village. Ground Floor.Will consider swap to anywhere England. Opposite large cricket field in very quiet, well kept area, front & side lawns with large rear garden. Pets allowed. No overlooking buildings, fully modernised, double glazing, gas ch. Parking places. Â£70 per week rent with Doncaster council. Block of 4, more photos of living room and other internal / external areas available. Will consider swap to anywhere England. Advert Id (153335) Doncaster...MUST BE 50+ !!! Tickhill Village. Ground Floor.Will consider swap to anywhere England. Opposite large cricket field in very quiet, well kept area, front & side lawns with large rear garden. Pets allowed. No overlooking buildings, fully modernised, double glazing, gas ch. Parking places. Â£70 per week rent with Doncaster council. Block of 4, more photos of living room and other internal / external areas available. Will consider swap to anywhere England. This accomadation is a semi detached house. It is located in Shrewsbury in shropshire and has 2 bedrooms. This home has a garden, loft storage space This home has central heating and it also has double glazed windows. Advert Id (153313) I currently live in a 3 bedroom mid-terrace house in Auchenback, back and front doors, garden, easily within a mile of the supermarkets and even closer to primary a d secondary schools and nursery. I'm looking to move to a 3 or more bedroom house in Newton Mearns to be closer to family.